This is a booklet which consists of photographs (23 sheets of A4-A5 size of landscape, portrait and mural painting) with comments and map. 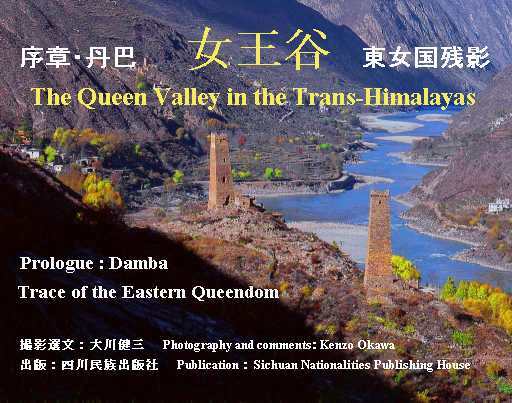 The main of the photography range is Danba and contains a part of Four Girls Mountains Nature Reserve, too. This is published to promote the protection of a lot of precious cultural inheritances and the beautiful nature on the Queen Valley. The member of HAT (Himalayan Adventure Trust) and WWF (World Wide Fund for Nature).